Automate the paperwork with AI. AUTOPAPER replaces your human pipelines with machine learning algorithms. Reduce costs, save time and streamline the processes in your business, app or service. At its core, AUTOPAPER is a document understanding and paperwork automation service. Many of the information created is today automatically stored in digital form. But invoices, bills etc. are still received in the paper format by majority of the corporate and finance companies. In other words, no digital copies. 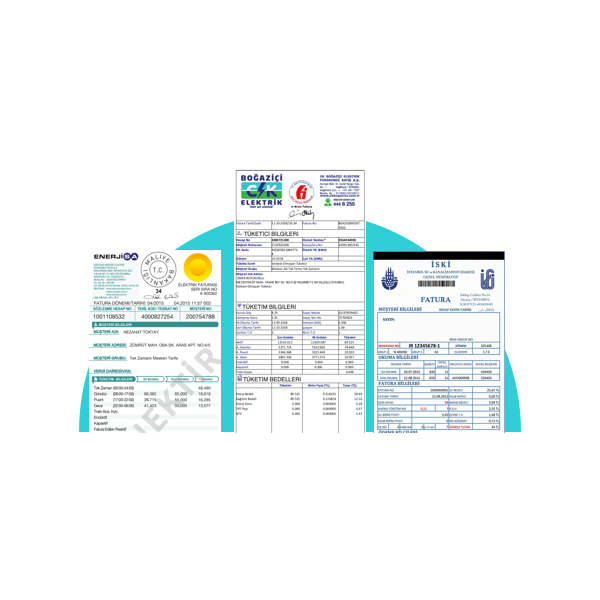 AUTOPAPER is a new way to transform the hard copy data into digital format as per customers need with a simple API call. It's not magic, it's AI! With the document capture solutions of the AUTOPAPER, the information captured from the document can be parsed and automatically entered into the required fields with an easy API integration. 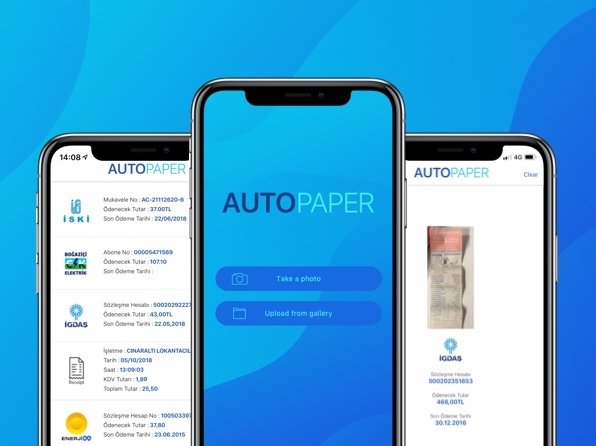 AUTOPAPER can decide the type of the document and extract the structured information from it in accordance with the power of AI. New document types can be added for your business needs. Today companies still send their payment orders in paper format. These orders are photos or copies of scanned documents . For the banks, classification and extraction of these documents require serious man power. For example, at a large-scale bank in the UK, 120+ people are employed for this job. The average time spent on each document is 7 minutes. After AUTOPAPER integration 120+ people have reduced by up to 30 people, the average SLA time decreased to 3 minutes while %70 advantage can be obtained per unit cost. 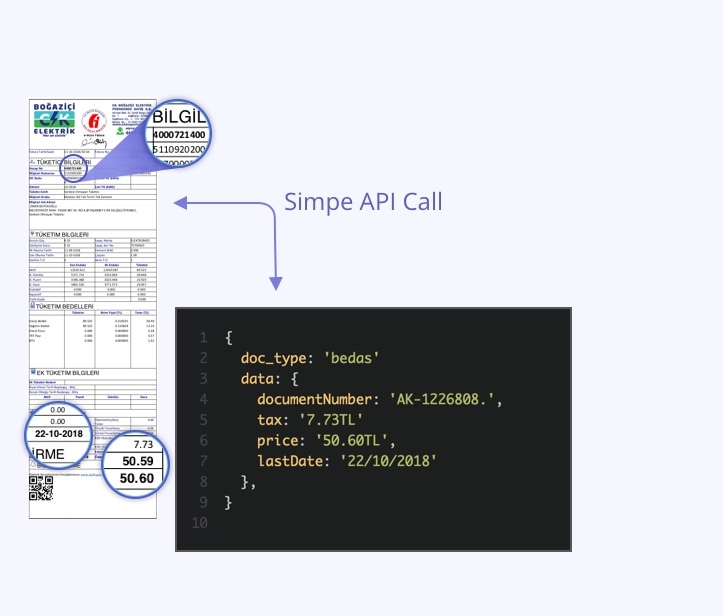 AUTOPAPER , by the power of AI can automatically understand the paper required and extract the structured information from text with an API call. 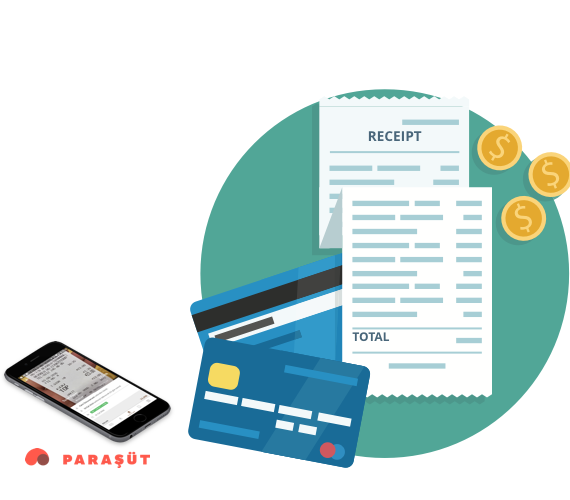 For the operators using accounting / ERP software, shopping voucher processing is time-consuming and labor-intensive. 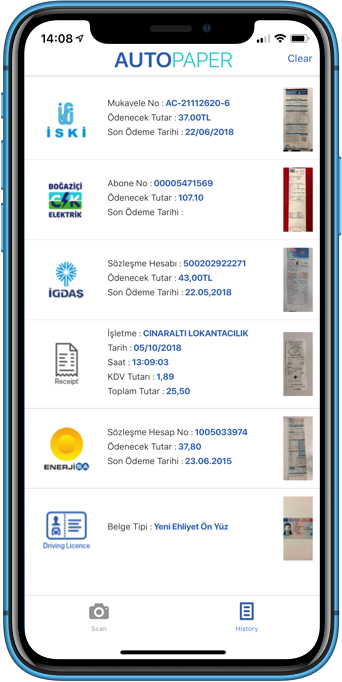 AUTOPAPER automatically extracts the business name, date and time, tax and total amount on the receipt (s) and automatically processes them on your app or service. It Reduces processing time by 60% while at the same time reducing errors. 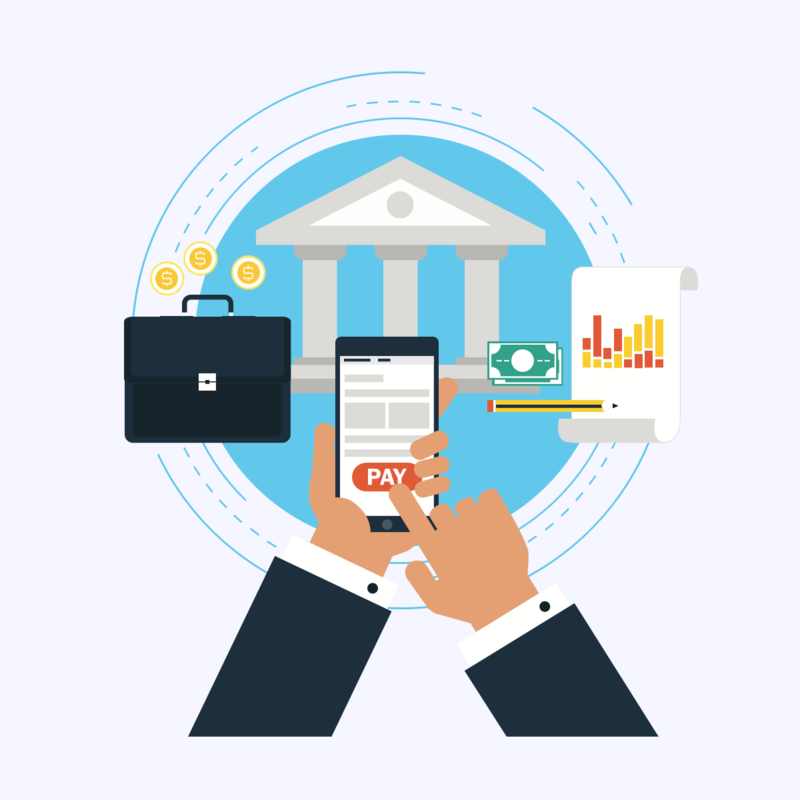 For metropolitan cities, it automatically extracts the contract number and amounts from invoices and contributes to the automation of banks or payment institutions. It accelerates the process while reducing the error. 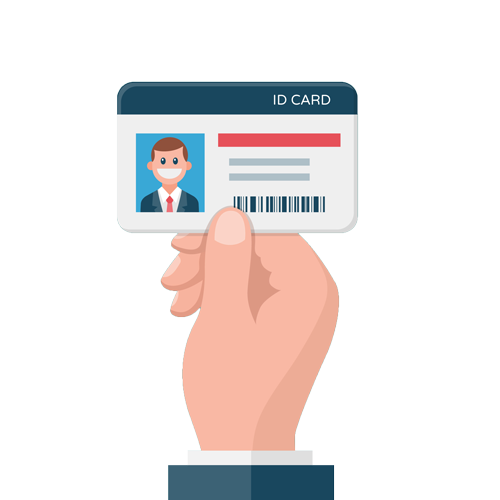 AUTOPAPER detects which type of document it is and extracts data such as name, ID number quickly. AUTOPAPER can reduce manual control by 80% in operations requiring bank or authentication. AUTOPAPER API can classify and extract the structured information from the text unbelievably fast. We wanted to show how fast and reliable it is. This is why our team developed the AUTOPAPER Demo App to demonstrate the capabilities of our service. Request an invite for the demo app and try it now.